RIFFA punched their tickets to the final of the Khalifa bin Salman Cup last night following a thrilling 73-70 victory over Manama in the decisive third game of their best-of-three semi-final series, played at the Khalifa Sports City arena in Isa Town. Star Bahraini forward Mohammed Kuwayed scored the final three points of the contest, which ultimately proved to be the difference. Kuwayed swished in a step-back jump shot off an ankle-breaking cross-over that gave Riffa a 72-70 lead with 19 seconds remaining. Then, after a Manama time-out, a potentially game-winning three-point attempt by Wayne Chism (206-PF-87, college: Tennessee) on the opposing end came up short, and Riffa were able to grab the rebound. Kuwayed was fouled and made one of two pressure-packed free-throws for the final winning advantage. Desperation heaves from Manama's Hassan Nowrooz and D.J. Stephens (198-G/F-90, college: Memphis) in the final seconds came up short. The result earned Riffa the 2-1 series victory - a similar result between both teams at the same stage of this year's league. Riffa now move on to battle Muharraq in the single-game cup-decider, which is scheduled to be played on Saturday at the same venue. 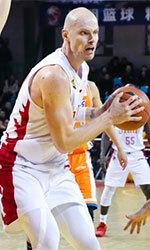 It is set to be a rematch of the best-of-five league championship series, which Muharraq won in a three-game sweep. A massive prize purse of BD45,000 has been set aside for this year's cup finalists by the Bahrain Basketball Association. The champions will receive a cool BD30,000, while the runners-up will come away with a generous BD15,000. Kuwayed wasn't the lone star for Riffa last night as they received several key contributions from their other players. 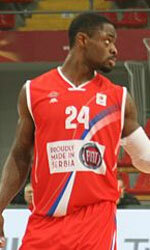 Senegalese professional Mansour Kasse led the team in scoring with 24 points including three three-pointers. He also had 11 rebounds. Kuwayed finished with 14 and seven rebounds, while American Arinze Onuaku (206-C-87, college: Syracuse) and Mohammed Buallay both finished with 12 markers. Onuaka also had nine rebounds and five assists while playing the game's full 40 minutes, whereas Buallay was a rock at the point, controlling the tempo for his team the entire night. Ali Jassim and Subah Hussain came off the bench to provide the necessary hustle for Riffa head coach Sam Vincent . D.J. Stephens and Chism combined for 54 of Manama's total output. D.J. Stephens had a game-high 33 including 11 rebounds, while Chism finished with 21, 14 boards and six blocks, but their efforts could not carry their side to victory. Court general Ahmed Abdulaziz was the only other significant contributor in the loss, finishing with nine points. Riffa had a slim, one-point lead, 19-18, at the end of the first quarter but a 13-3 run midway through the second helped Manama go up 37-27 before taking a 39-33 advantage into the half. In the third, Riffa regained the advantage and a Hussain corner jumper that beat the quarter buzzer gave them a 59-57 lead. That set the stage for a see-saw final canto and Kuwayed's end-game heroics.